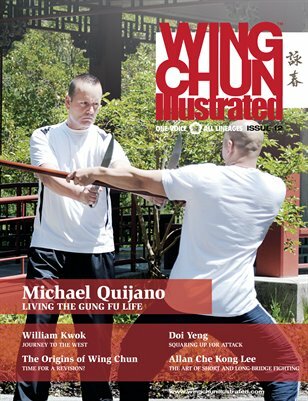 Issue 12 of WCI features Michael Quijano on the cover. Sifu Quijano pulls no punches in giving his honest opinions about training and the current world of Wing Chun, as we know it today; he has a big heart and lives his life by a philosophy of friendship and family that he calls Gung Fu Life. For a complete table of contents, please visit our website.